Whether you fish from one of our powerful and flexible light tackle charter boats or want to try your hand at Flats Fishing, fishing for Tarpon in the crystal blue waters of Key West is fun and incredibly challenging. The exhilaration you experience from the bite, through the struggle, and then as you hold the mighty fish in your arms - is something you have to experience to believe! 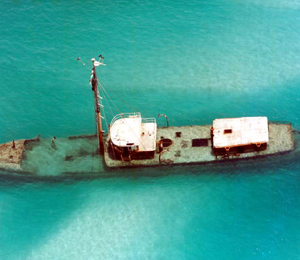 Key West fishing includes flats fishing, wreck and reef, deep sea fishing, family fun fishing, backcountry fishing, snorkeling, and dry torugas fishing. Fishing in the shallow flats and backcountry waters of Key West can produce Tarpon, Sharks, and several other species. Also known as “The Silver King,” the Tarpon is an imposing fish that can grow to over 7 feet in length and weigh upward of 300lbs – although the average size is around 150lbs, making it one of the larger fishes you can grab without a big boat. Tarpon can be either a fresh water or salt water fish, with extremely hard and bony mouths that make them difficult to hook. When hooked, this gigantic fish thrashes wildly about, sometimes jumping over 10 feet in the air, creating a majestic spectacle! 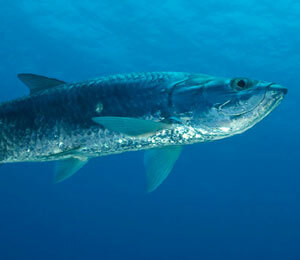 Tarpons feed primarily on fish, shrimp, crabs, and smaller fish. Their large “silvery” scales make a nice souvenir, but you will want to free a Tarpon after you catch one as they have a large number of bones which make them unsuitable for eating. Tarpon do not require heavy tackle. Instead, small bait and circle hooks tend to work well, although lures work well, but are not as reliable. 30lb monofilament lines are a good size and the best line when fishing for Tarpon, absorbing the shock of their fighting better than a braided line. Blue Marlin Fishing Charters in Key WestRivers and estuaries is where you will find Tarpon, with small fish and live or dead sardines serving as excellent bait. If you are going to use lures, use poppers and jigs with a single hook so the Tarpon can’t shake it loose. 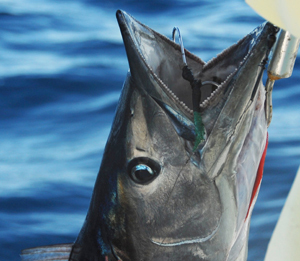 Your Key West Light Tackle or Flats Fishing Charter is just a click away. Pick your perfect charter today! Key West is known for crystal clear waters, gorgeous sunsets, and sport fishing. 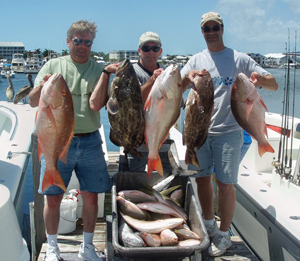 Why not combine all three for the perfect, relaxing Florida Key West Fishing vacation? Learn about our Key West Deep Sea Fishing Adventures!